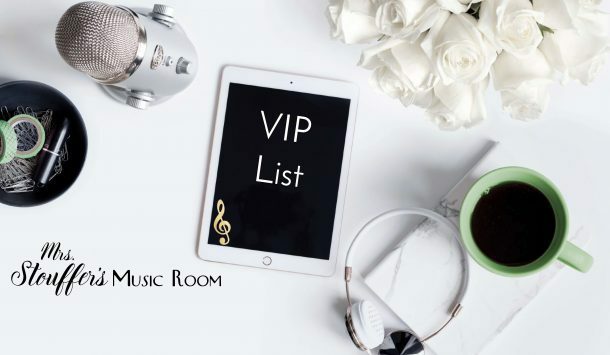 Using instruments in music class is one of the most exciting things for kids, but looking for stuff to do with your youngest kids can be difficult because those instruments are expensive. And you need to instruct them on how to hold, use, treat properly because replacing them can be a huge budget decision. You still need to control the environment until they know how to use them. Before they get their hands on anything, explain how to use it. I don’t let the kids pick an instrument that they do not know how to play yet. Demonstrate the proper way to hold, play and put away. I insist that if my kids don’t use it properly they get it taken away. They all know the rule and I enforce it. Sometimes it is about making sure their classmates don’t get hurt, as in with rhythm sticks. You TOTALLY already know this, but don’t let mass chaos ensue. Call kids up by what they are wearing, or in groups of 3-4. Draw sticks. SOMETHING to contain them all running. Or pass them out yourself. If everybody has an instrument, I have them put it in front of them in their seat and put their hands in behind their backs. This is great because I can see who has an instrument, and also who is following directions. 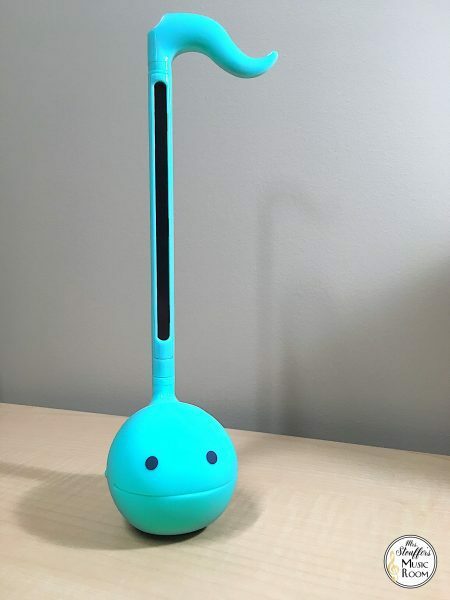 If it is one instrument in the middle to be passed around, I will put it on a small stool or table in the center so it doesn’t get stepped on. Enforce consequences if rules are broken. Sing to match the beat they play. Don’t let them be wrong! Remind them the rules EVERY time you use the instruments. Make a big deal that they are big kids who can use the instruments. When to introduce? I have a lot of my 4-year-old preschool students and PreK students in 3-year-old preschool. Because so many of the students are familiar to me and are already participating well, I give them instruments in the first few weeks because I want them to be excited, it helps the few newer ones feel more comfortable in the room. And the students who already know me feel like they are big kids right away. In my situation, I’ve found that introducing them to the kids quickly helps them take the rules a little more seriously too. But always make sure the kids are doing alright first. Wait until the tears are gone, the wandering, and if they are singing with you or after you. If they are engaged, that’s awesome. One of the reasons to wait with a class of completely BRAND NEW to YOU students is that you need to find out how they respond to you before you add in an element that may cause a little overexcitement. Any beat keeping activity is king. Pick a chant, pick recording, pick a song they know. Let them play to the beat. Have them play in groups, solos or any other combination you can think of. And you can totally get in an assessment on your kids without them realizing it. Put out sol/me boomwhackers or High Do/Low Do. 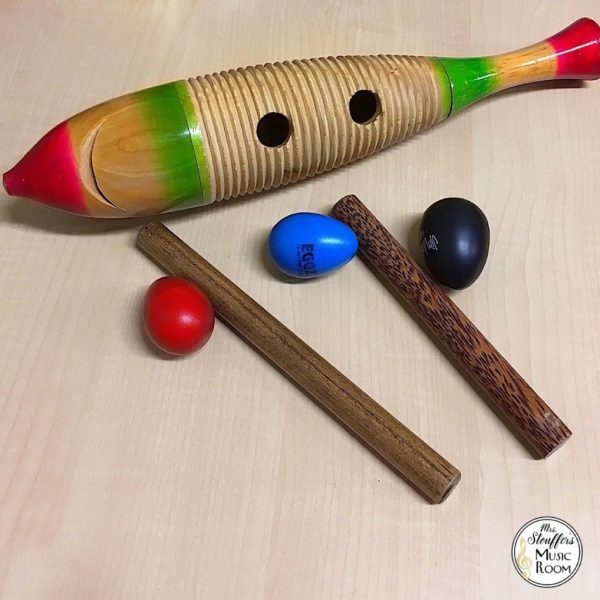 Use the high end and low end of an Orff instrument, use an otomatone, or anything else you can get your hands on that the kids can try to show high/low. Put patterns up and let them try playing high and playing low. Otomatones are also GREAT for vocal warmups! Let the kids create their own that the kids have to sing back. 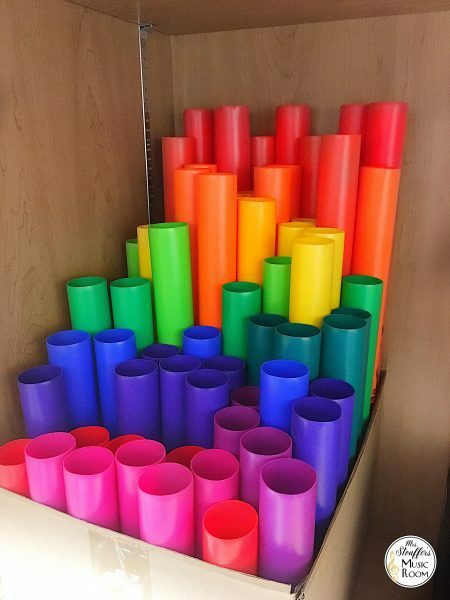 This is great for letting them try out some instruments and be creative. It’s important to let even your youngest kids be creative, so I let them pick only 2 of the instruments that I show so they are not overwhelmed by choices. The idea definitely isn’t just to make noise. When you do this, it is helpful if you have already discussed patterns with the kids. 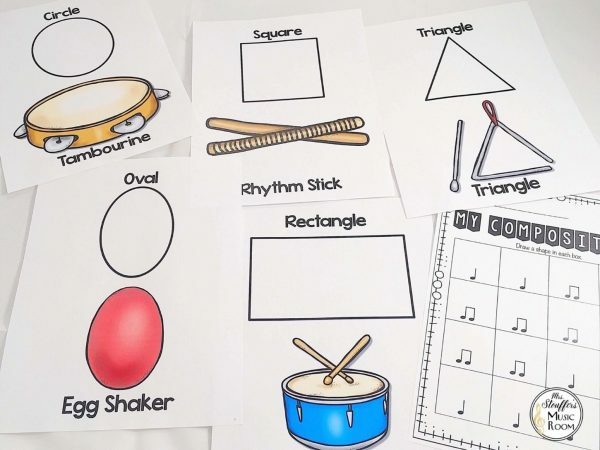 A good pre-lesson for Shape composing is to write your own shape patterns and let the kids play them. For my preschool kids, I let them play patterns, but won’t let them compose yet. With short classes, I don’t want to spend my 30 minutes a week trying to set them up for this. 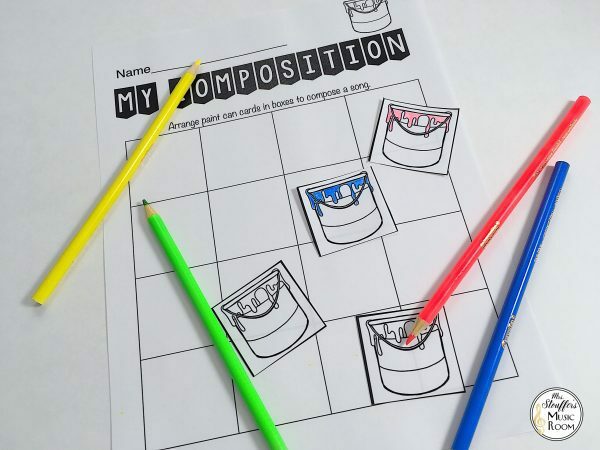 Color Composing. Same idea, but with boomwhackers or handbells. This is so fun for so many reasons! More instruments, individual work, practicing high/low patterns…I don’t do this one with preschool. I reserve this for K or 1st Grade as a first-time lesson. 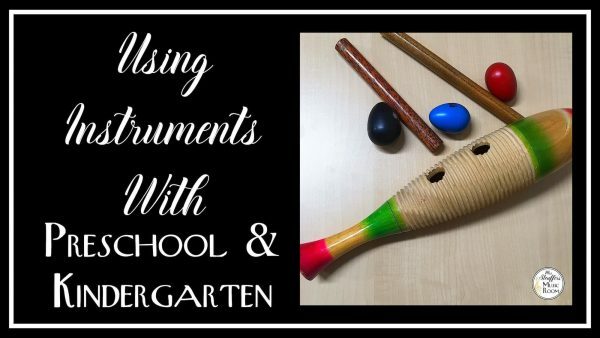 I hope this gives you some great ideas to incorporate instruments with your youngest students! How do you use instruments in your room with your youngest students? I’d love to hear your great ideas!